I bought this beautiful Buddha today from a lovely woman at Itsy Bitsy Emporium (www.facebook.com/itsybitsyemporium.3). She imports stuff from Bali, and sells online and from her home. I’m absolutely in love with so many items and will be back. I wanted to share her store because some of the items she sells supports the fundraising for an orphanage in Haiti, medical centre and building a well. 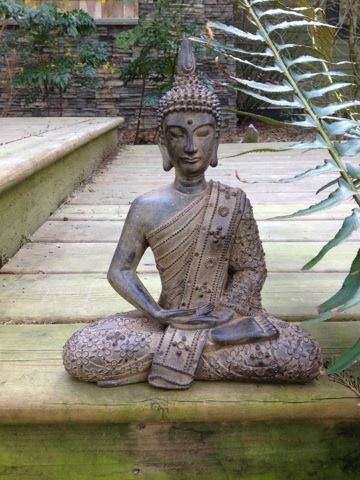 My new Buddha is going to go in my garden for my garden yoga practice.